Hello, I am somewhat new to the Si family. 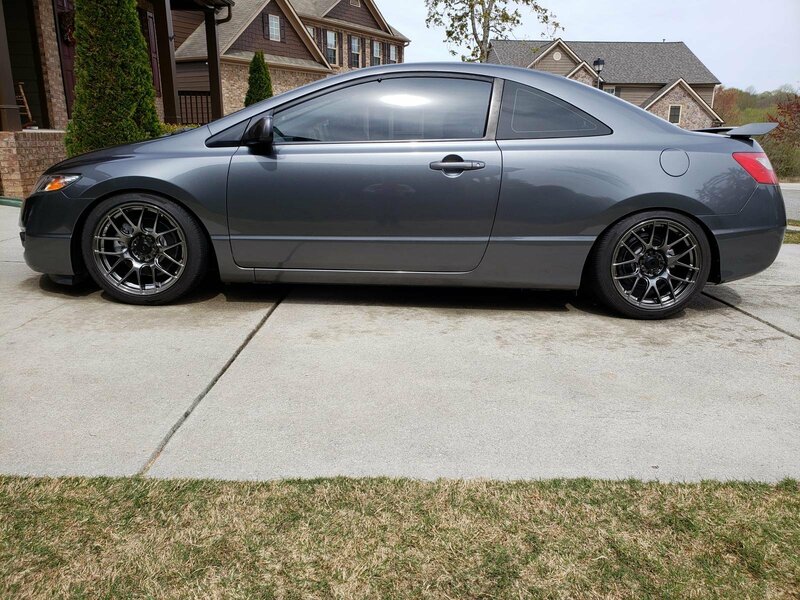 I have a 2006 Black Civic that is deeply in need of some rims. I was curious as to what you guys have on yours, and any suggestions you may have. Post pictures of yours, I was thinking some mesh BBS rims, or some bronze/gold ones.. I would like to hear your thoughts, thank you! 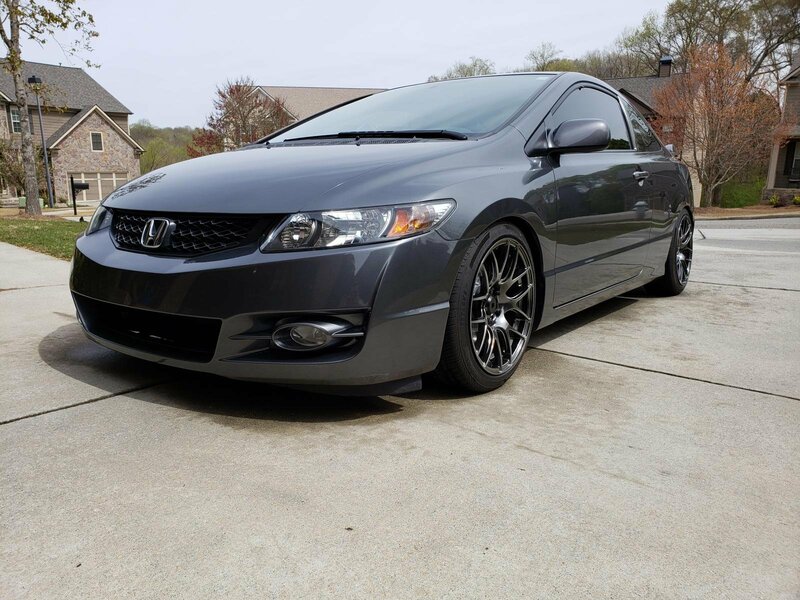 I recently put Revolution Racing R17 rims and BF Goodrich tires on my 08’ Si sedan. Your options are limitless. What kind of budget are you looking at? 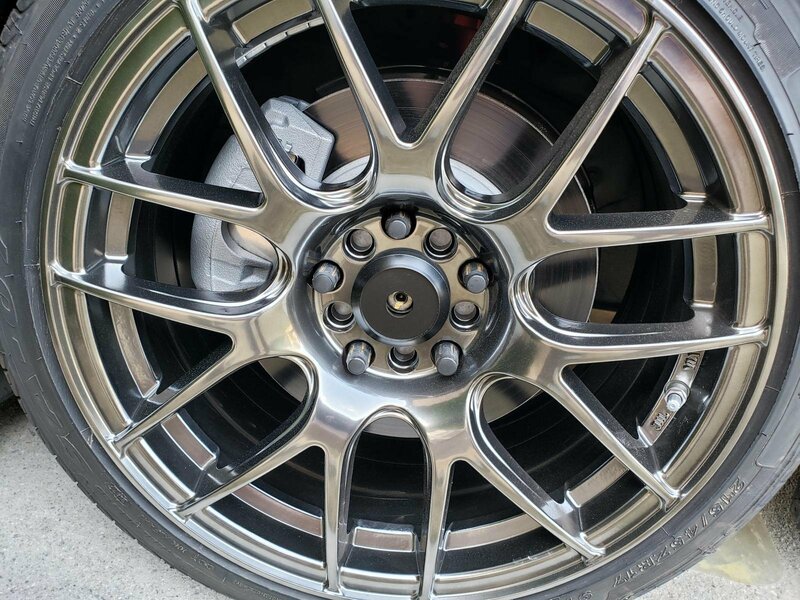 These are hyper black 8.25x17 with a 35mm offset on coil overs. No rolling needed. Last edited by Soundkillr; 04-01-2019 at 08:00 PM.